Organisations, schools and associations inform, educate and inspire the public and industry professionals. If you are an architect, designer, builder or contractor in Sydney, New South Wales, they can provide invaluable expertise and advocacy for you in your chosen field. Associations, for example, can provide detailed insights and up-to-date resources for negotiating the rules and regulations of your local area. Organisations and schools also create a sense of community by providing networking opportunities with industry leaders and like-minded professionals. Furthermore, they encourage advancement in the field by conducting new research and conferences, while also recognising and awarding exceptional design. 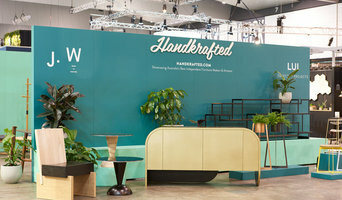 Handkrafted is a community marketplace connecting people with passionate makers to commission quality bespoke goods. With an initial focus on woodworkers and custom furniture makers, we are currently expanding to metalworkers, lighting makers, upholsterers and concrete artisans. We will continue expanding available crafts over time. The principle purpose of Building Designers Association of Australia is to be recognised as a leading professional design force in the building industry. Building Designers Australia consists of a dedicated group of professionals who design and document building projects throughout Australia. 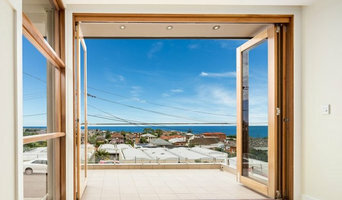 Building Designers Australia is a mature and active association which enjoys a high level of respect from the public, manufacturers and all levels of government. Building Designer Association of Australia represents the interests, standards and professional development of Building Designers in every state and territory of Australia. Members are bound by a Code of Ethics and encouraged to operate at the highest professional level at all times. The Association encourages design excellence from its members and promotes the benefits of good building design to the public. Building Designers Australia is active in the development of education and training standards relevant to the building design profession and is now recognised by governments and educational institutions as the leading professional body for building designers. 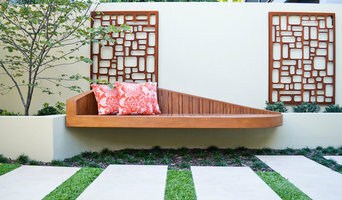 Landscape NSW & ACT Ltd (LNA) is a Not For Profit organisation, that represents the interests of the two state’s landscape and garden maintenance contractors, designers and suppliers of products and services. The LNA promotes the importance of landscaping to the liveability of our urban environments and the integral role it must play in the future planning and development of our cities. Master Painters Australia NSW Association Inc. is a not for profit industry association representing painting and decorating contractors and employers in NSW. Since its foundation over 100 years ago, MPA has been an independent representative for firms and individuals conducting business in the painting, decorating and sign writing trades. We do this by our involvement with numerous government consultative forums both nationally and at a state level. The Association seeks to advance, encourage and recognise the highest standards of trade craftsmanship and ethical business practice in residential, strata, industrial commercial and historical projects. We do this by providing members and consumers with up-to-date information on a regular basis and also through our Awards for Excellence which is held annually and where we see the best of the best competing. A member of Master Painters has a range of resources available to them by way of magazines, e-bulletins, industry consultants, updated resources, accredited and certified courses, including Lead Paint and Asbestos and Sustainable Painting Practices, for a list of professional courses. The Master Painters Association has also been selected to carry out the assessment of painters for licensing for NSW Fair Trading. Purpose Educate 1000 is a national education campaign designed to deepen a culture of PERFORMANCE, COMPLIANCE and COLLABORATION in Australia’s residential building industry. Drivers Many new homes and renovations, as-built, aren’t meeting building code requirements for energy use and thermal comfort. For Australia’s residential building industry to become net zero emissions by 2050, enhanced skills are required to get the job done. Education Seminars and workshops will be held around Australia from September 2017 to November 2018. The education aims to: Provide the workforce with the skills required to design and construct homes that perform - renovations and new builds. Address the issue of under compliance to state-based energy efficiency and thermal regulations. Reduce the use of non-conforming building products and increase the use of 'fit for purpose' systems and products. Highlight the efforts currently being undertaken by industry members to reduce Australia's emissions. 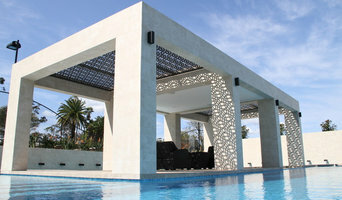 Showcase the value of strong collaboration - design team, suppliers, construction team and the home owner. Drive better communication channels between industry and community. At BFDA we provide professional training and skills for a career as building designers and design technicians. As well as offering the Certificate IV in Building Design Drafting, and ArchiCAD Fundamentals, we also offer opportunities to develop professionally with our short courses and workshops. Our Design Essentials courses are aimed at Home Renovators and the Professional Development Courses are aimed at Design Professionals. In our short courses we share our knowledge and creative tips and tricks that you can apply to your projects immediately. At Built Form Design Academy we believe that confidence is the key to creating a home that reflects your personality. And that is why we have created a series of short courses we call Design Essentials. Our courses provide information, ideas and practical examples to try out on your own projects. Our Vision is to enable the public to understand, enjoy and discuss architecture, locally and beyond. The Australian Architecture Association supports discourse and the promotion of architecture in the Australian cultural milieu - architecture that is manifestly of its place and its time, which is simultaneously modern and timeless. The right to practise with integrity, in an ethical and sustainable manner and with artistic and technical excellence is fundamental to architecture that is contemporary, culturally informed and socially engaged. A constituency drawn from architects, likeminded professionals, commerce and the broad community will embed contemporary architecture as a primary tenet of our society.